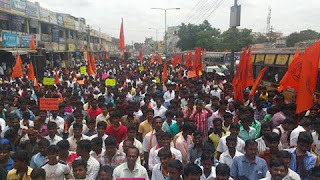 State wide protest demo demanding the State Government to withdraw ‘Darshan’ fee in the temples and give up the administration of temples. 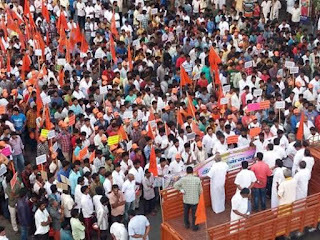 Citing the verdict dated 29th February, Hindu Munnani demanded that the temple funds should be used only for temple maintenance. Nearly 6000 Hindu temples are under the control of Hindu Religious and Charitable Endowments Department. 19082 people (540 women) participated in protest demo at 88 places across Tamilnadu. 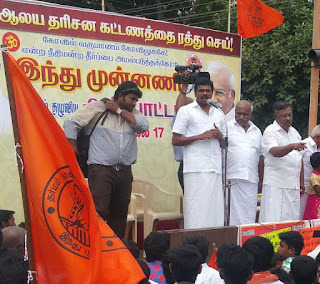 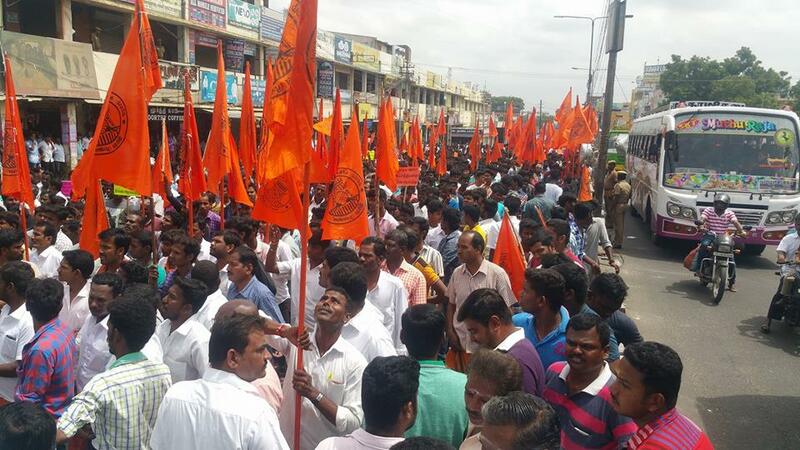 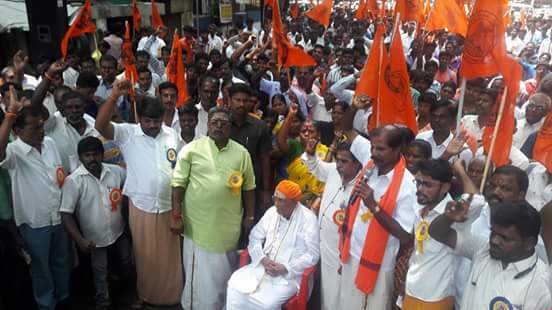 Shri Ramagopalan, Founder Hindu Munnani led the protest Demo in Chennai.